The Purdue University/CME Group Ag Economy Barometer is a nationwide measure of the health of the U.S. agricultural economy. On the first Tuesday of each month, the Ag Economy Barometer provides a sense of the agricultural economy’s health with an index value. The index is based on a survey of 400 agricultural producers on economic sentiment each month. Quarterly, the index is accompanied by an in-depth survey of 100 agriculture and agribusiness thought leaders. As CME Group’s roots are in agriculture, and Purdue University’s Center for Commercial Agriculture has a long history of producing cutting-edge agricultural research, this partnership is designed to create a new and important tool for producers, economists, traders, finance industry professionals and journalists who are interested in understanding the agriculture industry and the broader global economy.  Find the Ag Economy Barometer on the Bloomberg Terminal: AGECBARO, AGECCURC and AGECFTEX. Download the reports release schedule.